Lauki means Bottle gourd.This subzi is a combination prepared with the bottle gourd and chana dal(Bengal gram dal).Few days back my in-laws were here and I wanted to prepare something new without onion and garlic since my father in law doesn’t eat both.And that reminded me of Anjana ji’s blog Maayeka which has a very good collection of dishes without onion and garlic.And I had bookmarked this recipe sometime back and prepared it in a jiffy.This is a very healthy dish. 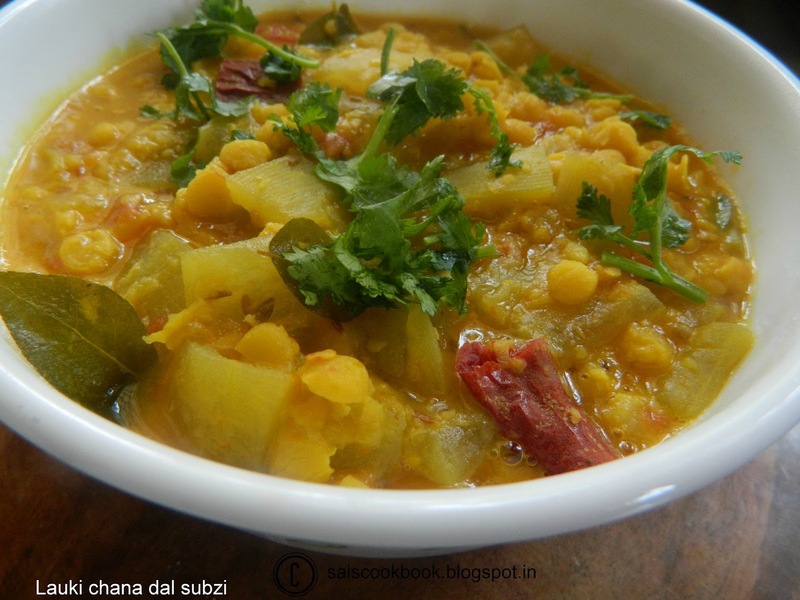 Wash and soak chana daal in 2 cups of water for 1/2 hour. Peel and chop bottle gourd into medium sized pieces. When cumin starts crackling and becomes golden,add soaked chana daal,bottle gourd,tomato, chopped ginger, salt ,turmeric and chili flakes and saute for 1 minute. Now add 2 cups of water,mix well and pressure cook for 3-4 whistles on a medium heat. Once the pressure releases open the lid, add lemon juice and chopped fresh coriander leaves. 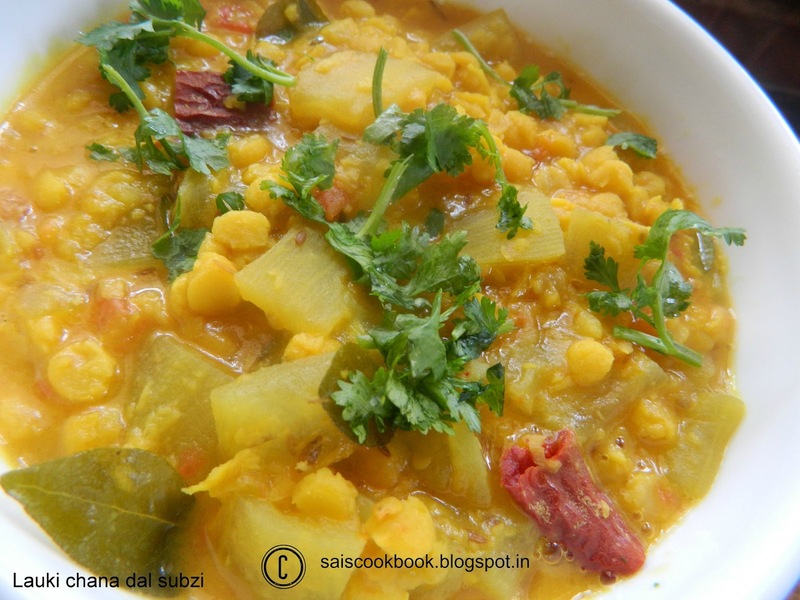 You may also prepare this subzi with Yellow moong dal.